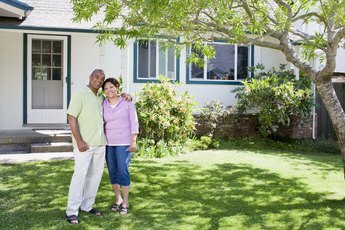 Homeowner's insurance helps protect you and the lender. One of the main concerns of a mortgage company is protecting its investment. Because of this, lenders require borrowers to pay the first year of their homeowner's insurance before closing on the loan. In future years, depending on your loan agreement, the lender pays the premium from an escrow account. The lender will divide your premium and property tax into 12 monthly payments and add the amount to your monthly mortgage payment. 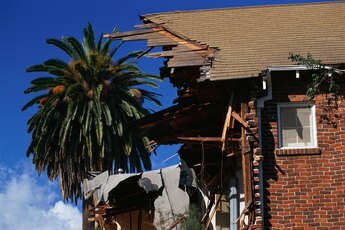 Insurance is mandatory for mortgagees to pay the mortgage's balance if the home is destroyed. While you cannot avoid paying the first year's premium upfront, there are things you can do to lessen the financial burden paying it might cause. Visit HomeInsurance.com to research the average cost of a policy in your area. While you cannot determine exactly how much your policy will cost by your area's average premium, the information can give you a general idea of how much you will have to pay. Ask friends and coworkers for recommendations. The Federal Citizen's Information Center (FCIC) recommends researching company complaints on the National Association of Insurance Commissioner's (NAIC) website to assist you in determining the quality of customer service of any company you are considering. Research the credit rating of any company you are considering. One way to do this is by visiting the Standard & Poor's website and entering the company's name in the "Find a Rating" text box. You will have to register with Standard & Poor's to see a company's rating, but registration is free. Determine the amount of risk you are willing to take. Your premium might be lower if you choose a policy with a high deductible. The risk is that if you need to make an insurance claim, you will have to pay a bigger deductible out of your own pocket. Ask your lender what coverage it requires. 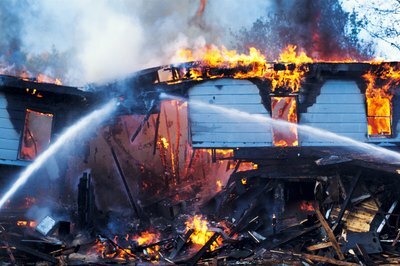 Consider additional coverage if you want the contents of your home insured. Select three companies to call for price quotes. Ask each company about available discounts such as combined coverage if you insure your home and auto through the same company or home security system discounts. Select the company you want as your insurance provider and pay the premium with a personal check, credit card, cashier's check or cash. Ask the insurance agent to send proof of coverage to your lender and take a copy with you to your home's closing. As soon you begin looking at homes to purchase, start putting money aside to pay your first year's premium. You can expect your premium to cost approximately $3.50 for every $1,000 you borrow, according to the Federal Reserve Board. Homeowner policies typically do not cover damage from floods. If you live in a flood zone, you must purchase flood coverage from The National Flood Insurance Program if you want flood insurance. Some policies do not cover natural disasters such as earthquakes without the purchase of additional coverage. Talk with your insurance company and read your policy to make sure you are purchasing the insurance you need. Your credit rating, prior insurance claims and even the breed of your dog all affect the price of your homeowner's premium. How do I Buy Homeowners Insurance Online? 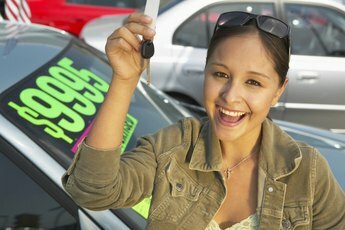 How Do I Transfer Auto Insurance to a New Car? 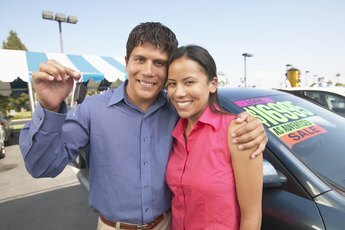 Can You Buy Car Insurance 30 Days at a Time? What Does Prorate Mean With Auto Insurance?